This week began early on a grey and chilly Monday morning on Gotland. 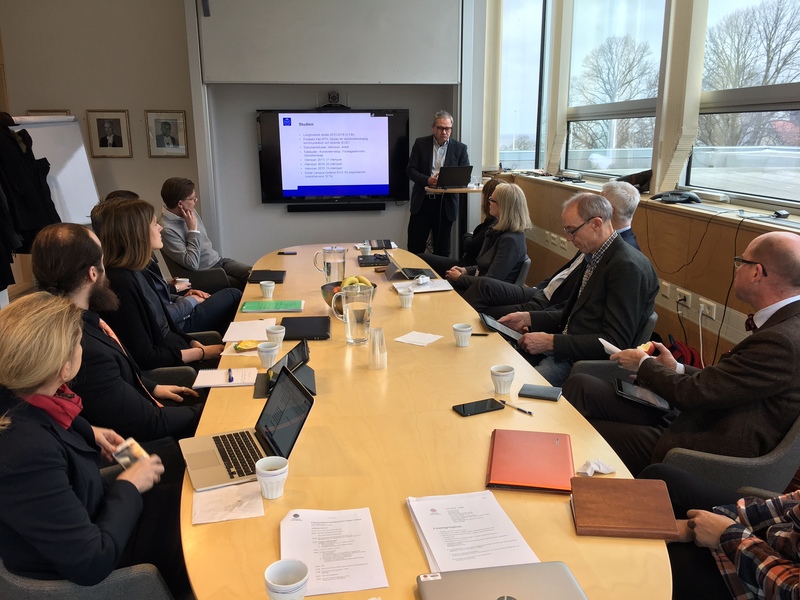 Each year the Vice-Chancellor’s Management Council has an all-day meeting at Uppsala University – Campus Gotland. As usual, Adviser to the Vice-Chancellor Olle Jansson and Deputy University Director Therese Iveby Gardell gave us a warm welcome. It is valuable to have a chance to focus on Campus Gotland on the spot. The merger between Uppsala University and Gotland University College has been followed by researchers from the Royal Institute of Technology. During the morning session, Lars Geschwind – one of the researchers conducting the study – gave us an advance presentation of the final report. They have carried out numerous interviews at various times with staff both in Uppsala and at Campus Gotland. These are some of the general questions the study has addressed: In what ways has the merger been guided by the ambitions expressed in the declaration of intent and the priority areas for the merger? How is the process of change being conducted? How efficient is the new organisation? How is the decision-making process managed? What cultural, administrative and skills-related obstacles need to be overcome? How much has changed for staff at Campus Gotland and in Uppsala? What are the potential short-term and long-term gains? What are the risks? The researchers conclude that the merger has been a success. The process has been carried out with great commitment, professionally and quickly. This was positive, but it caused a certain amount of stress and a high workload for some members of staff. Many new degree programmes and courses have started and there are more students at Campus Gotland than previously. Campus Gotland has also served as a test bed for educational and administrative activities. The report also notes that change takes time. Expectations can turn into disappointment and, conversely, scepticisim into optimism. The questions being asked now are, how should Campus Gotland develop moving forward? And what does the strategy for the future look like? This led on naturally to the next item on the agenda: objectives and strategies for Campus Gotland. 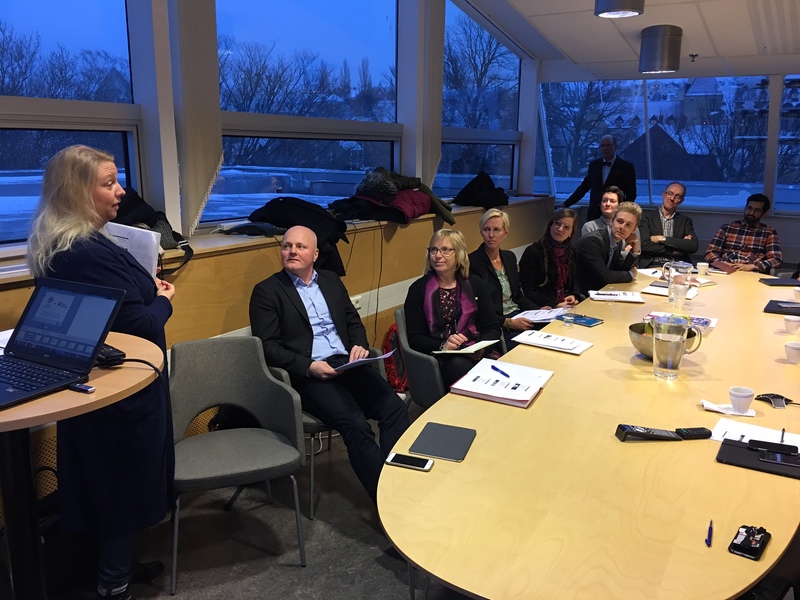 How should Uppsala University – Campus Gotland develop? Sometimes it’s useful to stop and reflect, and see how much has actually happened since the merger. Several new degree programmes will start this autumn. And more are planned in 2018. Research programmes on sustainable tourism and water (‘Blue Centre’) are beginning to take shape. 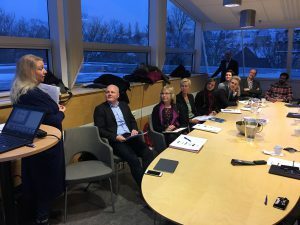 Objectives and strategies for Campus Gotland will be discussed by both the Planning Council and the Management Council prior to adoption by the University Board after circulation for comment. The day concluded with a meeting with politicians from Region Gotland and the Riksdag. It’s valuable to meet, discuss various issues and see how we can work together in future in the best interests of both the University and Gotland. It was an interesting and constructive meeting. Then it was time to return to Uppsala after a day well spent. Today it was time for another good meeting. Twice a semester we have a student collaboration meeting. Representatives of all the students’ unions, nations (student associations), senior university officers and some other staff meet to discuss current issues. The meeting today was mainly about buildings, study areas, exam rooms, opening hours, evening and weekend access. This issue is particularly hot now ahead of the renovation of the University Library. Director of Building and Estate Services Peter Elenfalk came to the meeting to tell us about work on the development plan for the University’s premises and environments, focusing particularly on study spaces. Both staff and students will be involved in this project, and it will be very interesting to see how it develops. Ambitions are high – a world-leading university with a unique and world-leading study environment.